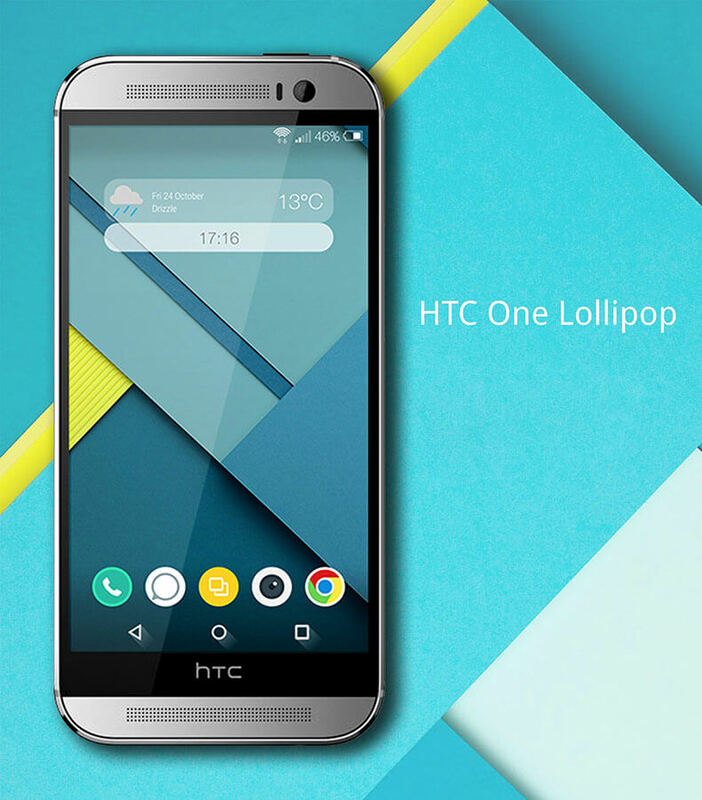 Google is currently rolling-out the official Android 5.1 Lollipop update to the HTC One (M8) Google Play Edition (GPE). The update is Available Over-the-air with size of 244MB. 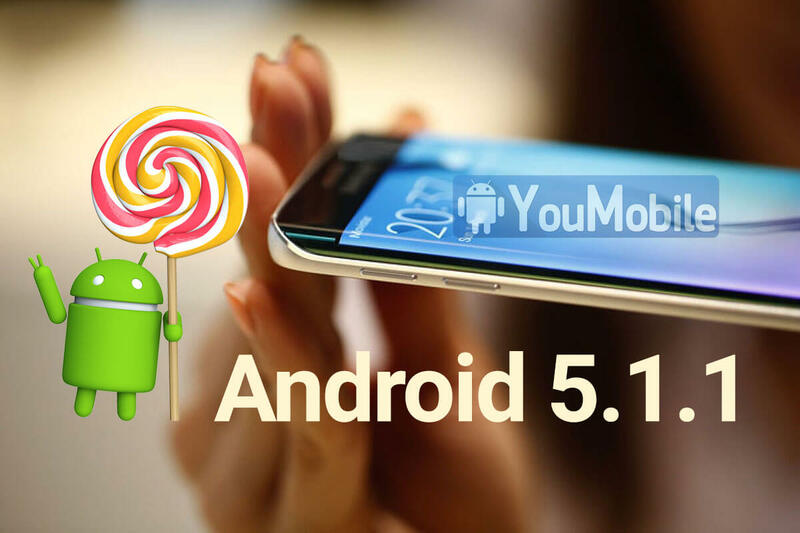 Android 5.1 Lollipop brings various bug fixes, performance improvements, security updates and HD voice support to the One (M8). 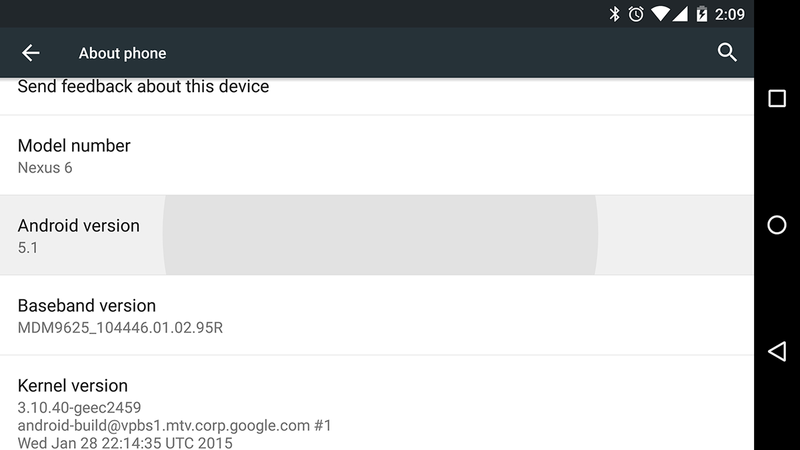 Other Android 5.1 goodies include the ability control paired Bluetooth devices from Quick Settings. 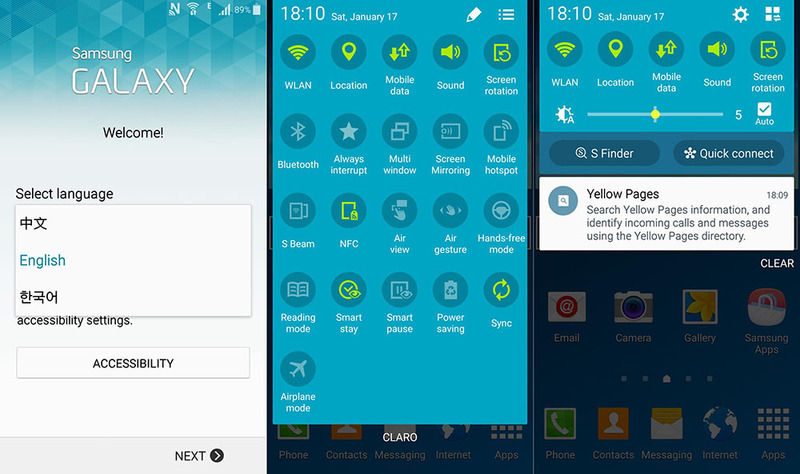 Users can also join Wi-Fi networks in a similar way. 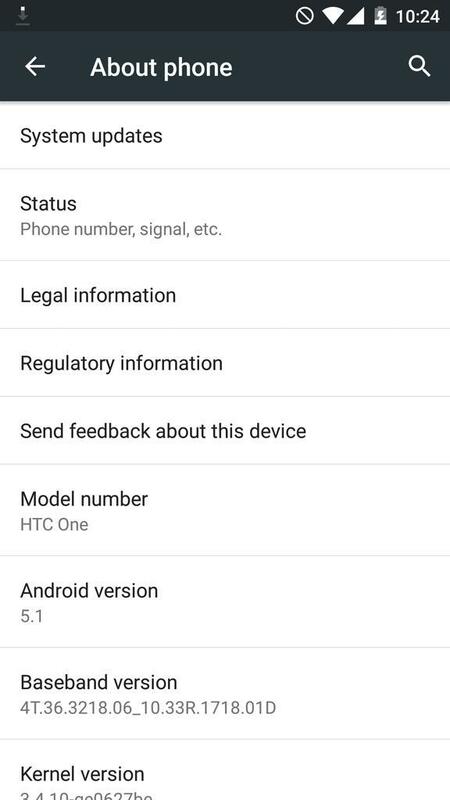 Original HTC One (M8) users is still on Android 5.0.1 Lollipop with Sense 6.0 UI on board, waiting for the 5.0.2 update with Sense 7 UI. 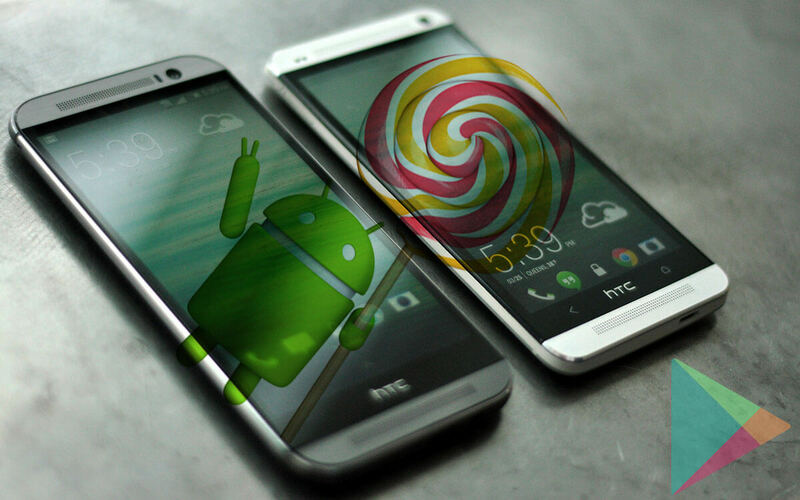 The HTC One M8 GPE (Google Play Edition) and HTC One M7 GPE (Google Play Edition) Android 5.1 Lollipop updates are currently Rolling-out Over-the-air (OTA), Google has approved the update and HTC GPE users should get a notification on their devices to get the new update which is Sense UI free. The most important part of this update is the Memory leak bug fix that was reported before on 5.0.2 build, the update also includes the usual bug fixes and performance improvements. 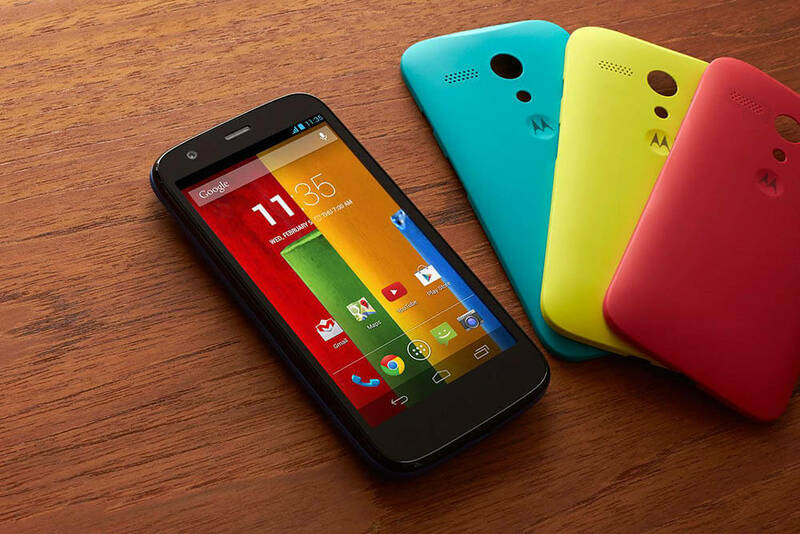 However, there is still no official confirmation if One M8 (GPE) or One M7 (GPE) will get Android M update or not but it's up to Google to decided, Stay tuned! 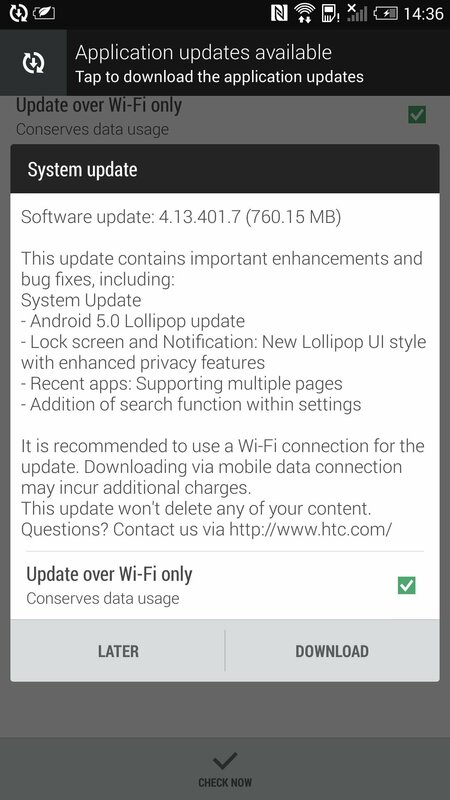 HTC has started Rolling-out official Android 5.1 Lollipop update to its latest flagship devices, HTC One M9 and HTC One M9+ (unlocked variants). Carrier variants should start getting the same update in the upcoming few weeks. The Update packs Android build 5.1 (Software version 2.8.617.4) keeping the same Sense 7.0 UI version but with few extra tweaks that includes new UI animations, improved sound controls that allow the user to enable Do Not Disturb mode but still allow alarms through and Camera enhancements. 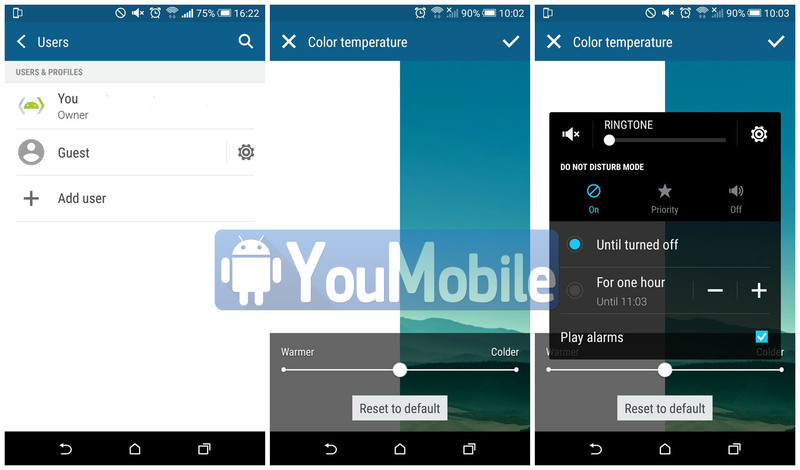 In this update HTC is giving M9 users the ability to tweak the color temperature of their phone's display. 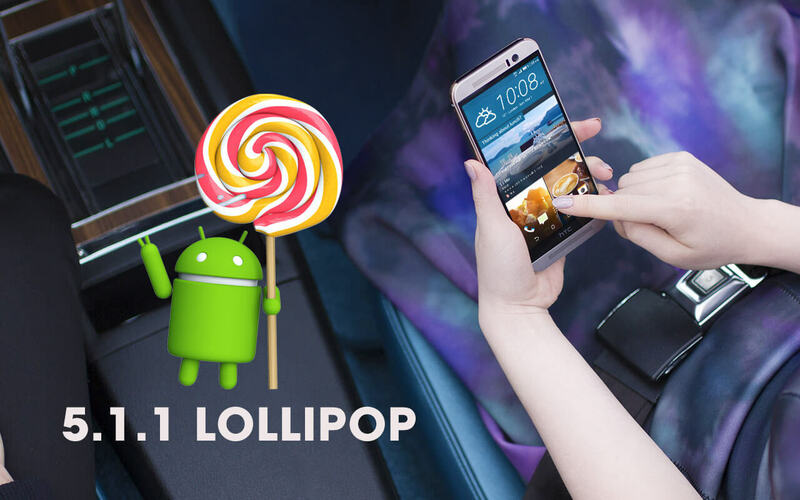 The One M9 Lollipop 5.1 update brings multi-user support that allows Guest access to your device or a second user (using his own Google/HTC account), so that he can install his own apps and access his account using the device without affecting the original owner's data/account. 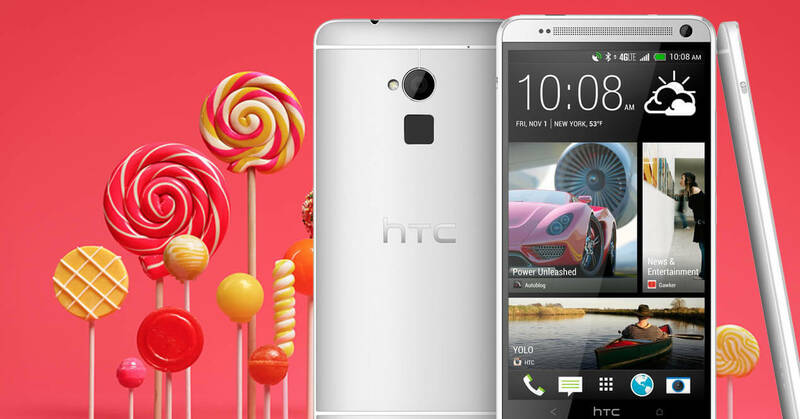 HTC updated its 2 years old flagship, HTC One (M7), to Android 5.0.1 Lollipop with Sense 6 UI. 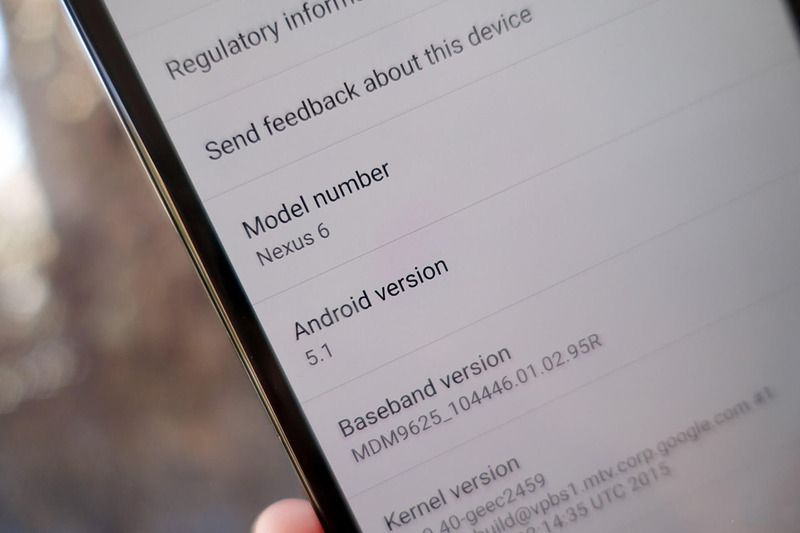 At the same time Google released the latest Android build version 5.1 Lollipop. 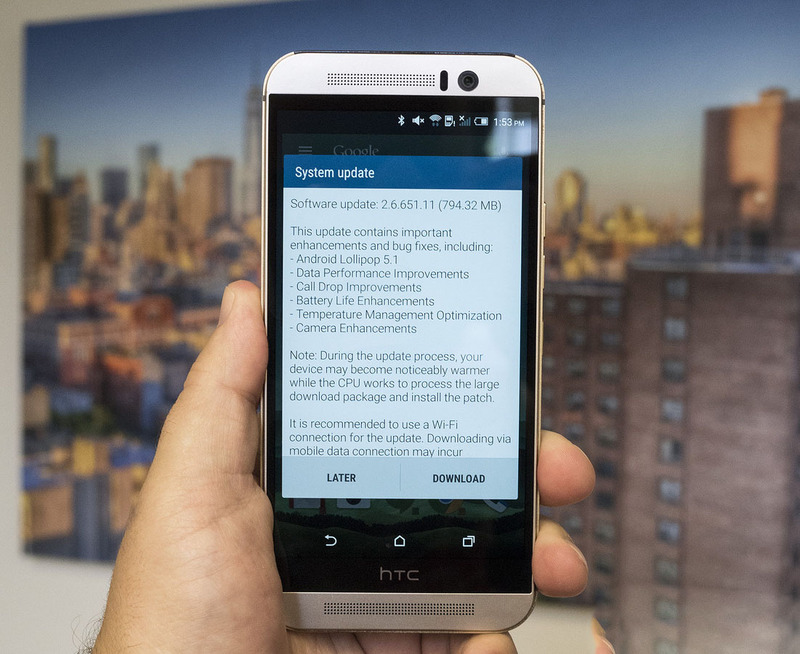 Well, If you own an HTC One (M7) we have some Bad News for you buddy. 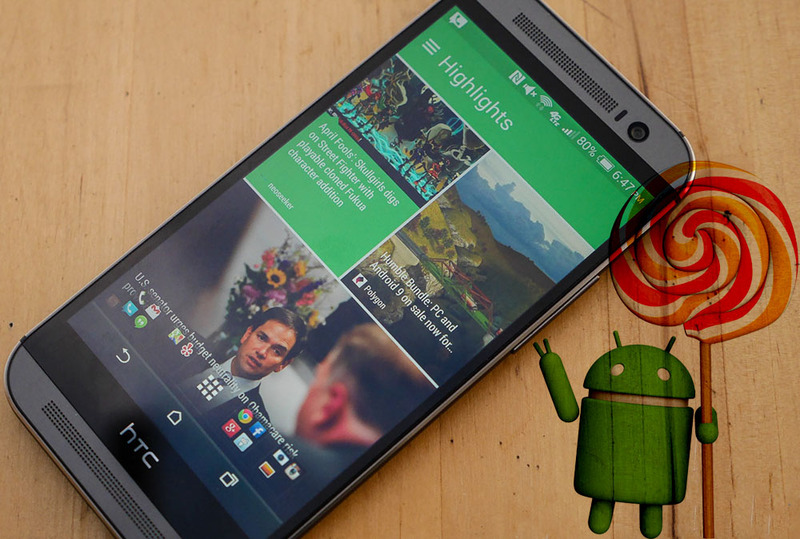 HTC decided to End the One M7 support, The handset will not be get any more major Android updates from this point forward. 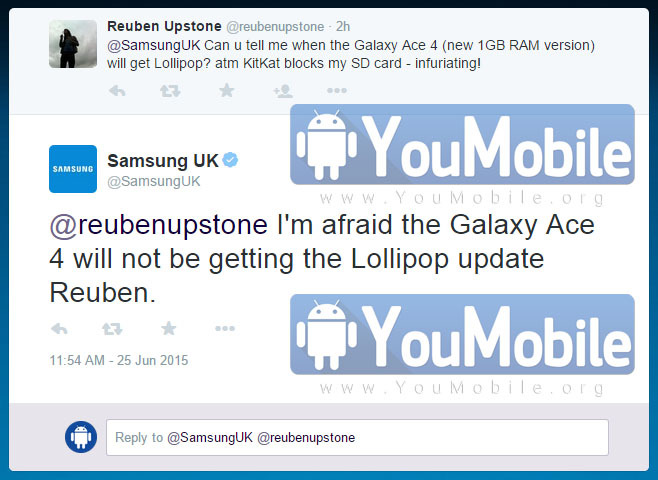 Not even Android 5.1 Lollipop or Sense 7 UI. This information came from Mo Versi, HTC's VP of Product Management, so it's as official as can be. 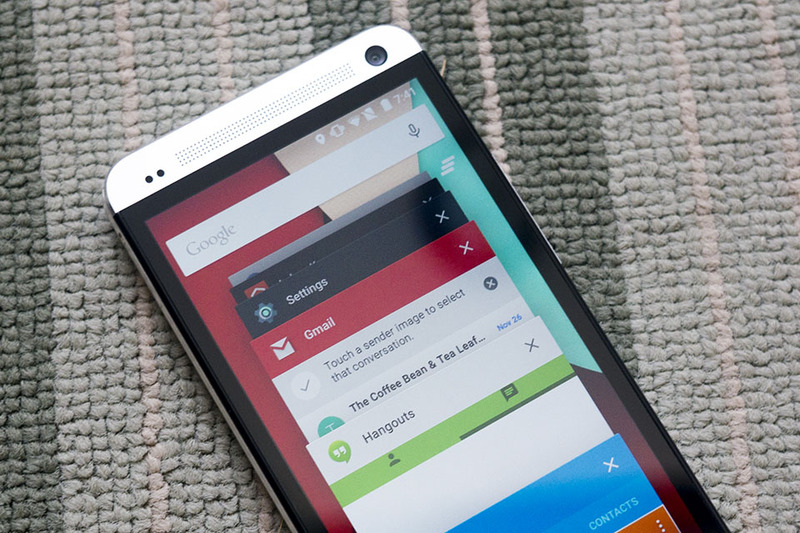 The HTC One did get updated to Android 5.0 Lollipop, so the new UI is in there already. 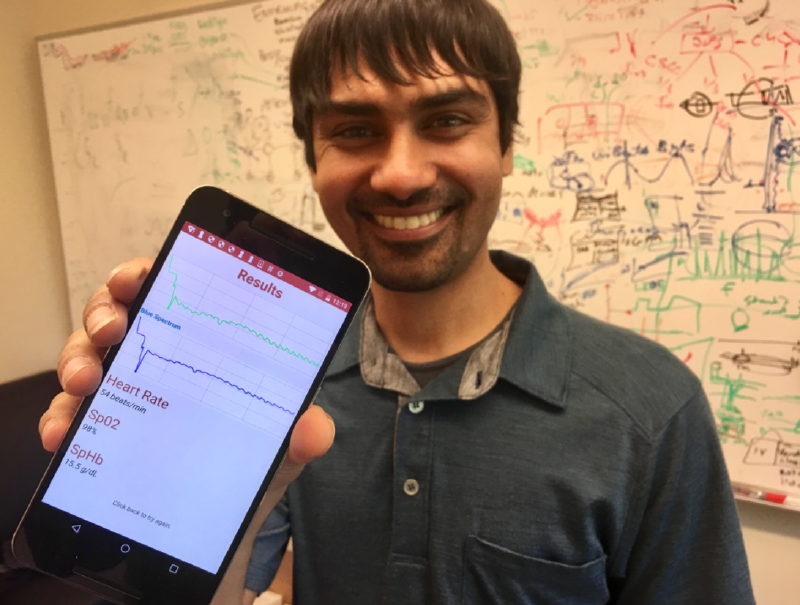 But the many bug fixes and subtle improvements brought about by Android 5.1 won't ever officially be available for this smartphone, unfortunately. 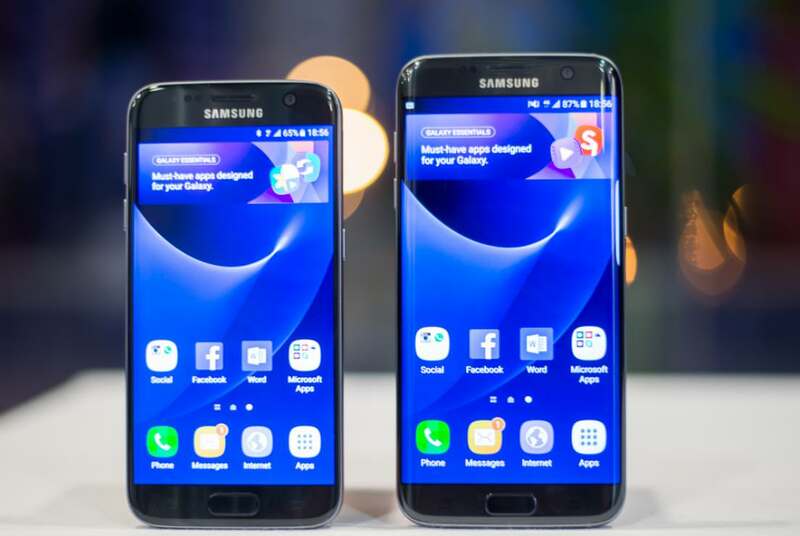 There have been rumors about the two smartphones getting a reboot in 2016 for a while now and it turns out to be true as most rumors are these days. 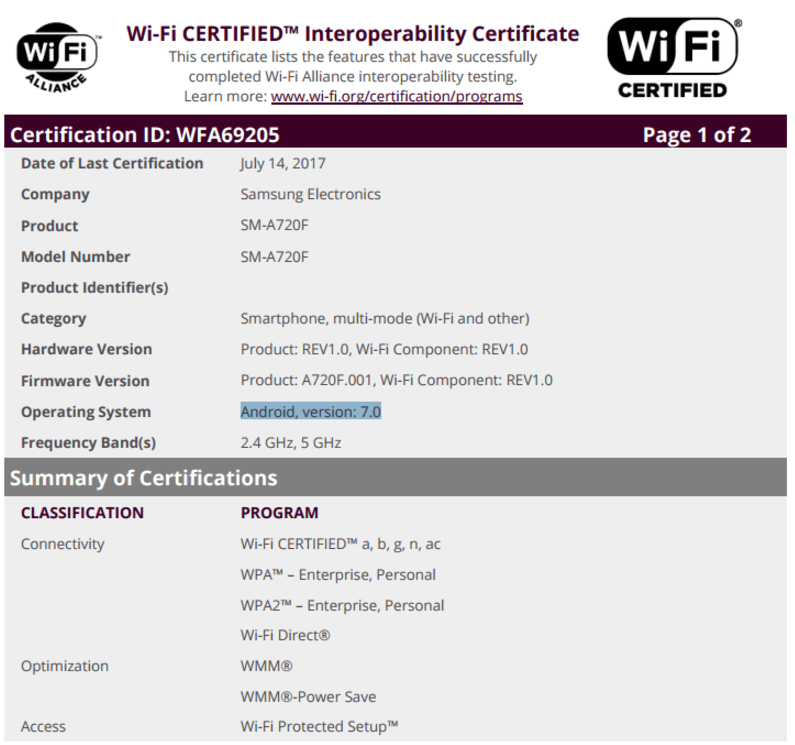 Confirmation was received after the Galaxy J5 (2016) and J7 (2016) became officially listed on Samsung's Chinese website. 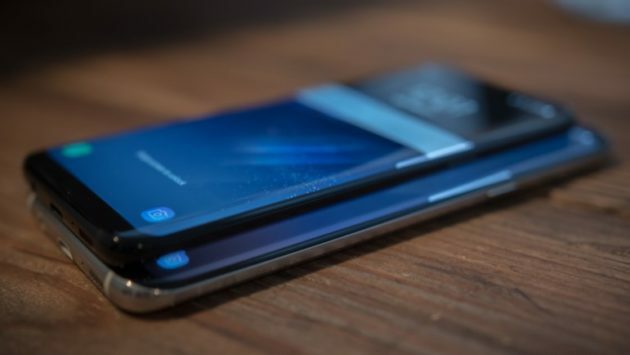 Both the original smartphones have received a complete overhaul in internal hardware and even building material as plastic has been discarded in favor of metal. 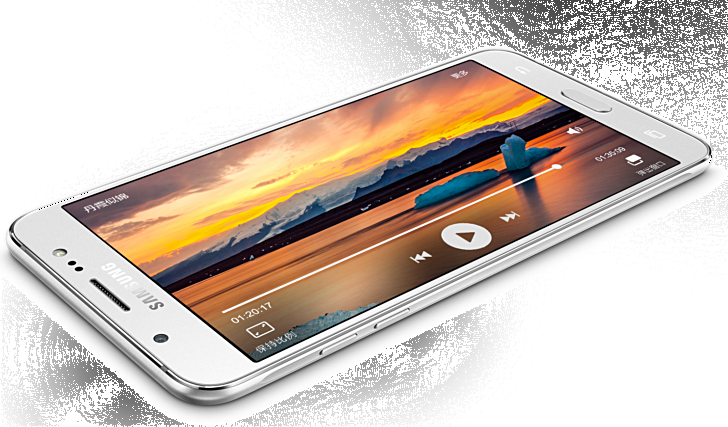 The mid-range J7 sports a 5.5-inch Full HD Super AMOLED display, powered by a 1.6 GHz octa-core processor that is yet to be revealed. Multitasking should also be a breeze with 3GB of onboard RAM. The in-built 16GB storage might not seem enough for all your apps, pics and data; that is unless you consider the fact that it also has support for external micro-SD cards. The standard 13 and 5-megapixel camera setup for the rear and front cameras remain the same from last year, although we will have to wait and see if they have used better sensors. 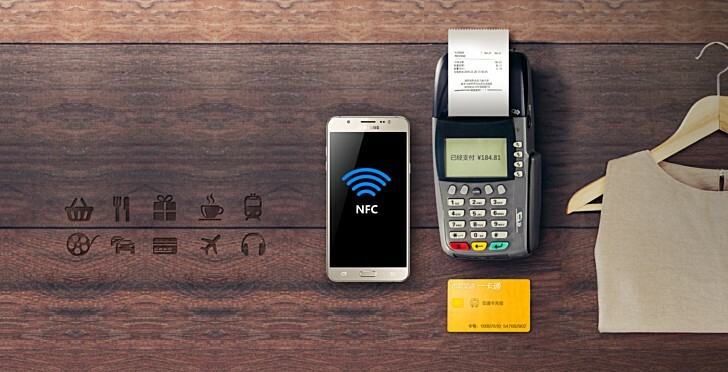 The NFC enabled device also supports LTE networks and all of this is powered by a 3,300mAh battery. The J5 (2016) is the trimmed down version of the J7 (2016) which sports a similar but smaller design at 5.2-inches. 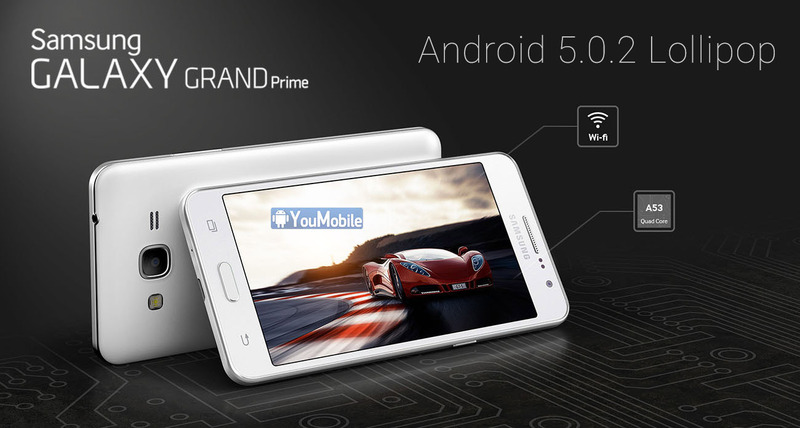 It is powered by a quad-core processor clocked at 1.2GHz and 2GB of RAM. The camera set up, internal memory, LTE and NFC compatibilities all remain the same as the J7 2016 version. Unsurprisingly, the new J5 is also lighter at 159g, when compared to the new J7, which weighs 170g. 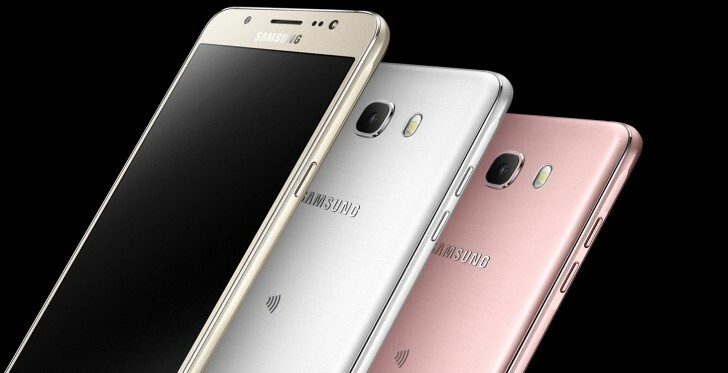 No details on pricing or when it will be sold outside of China has yet been revealed till date by Samsung. 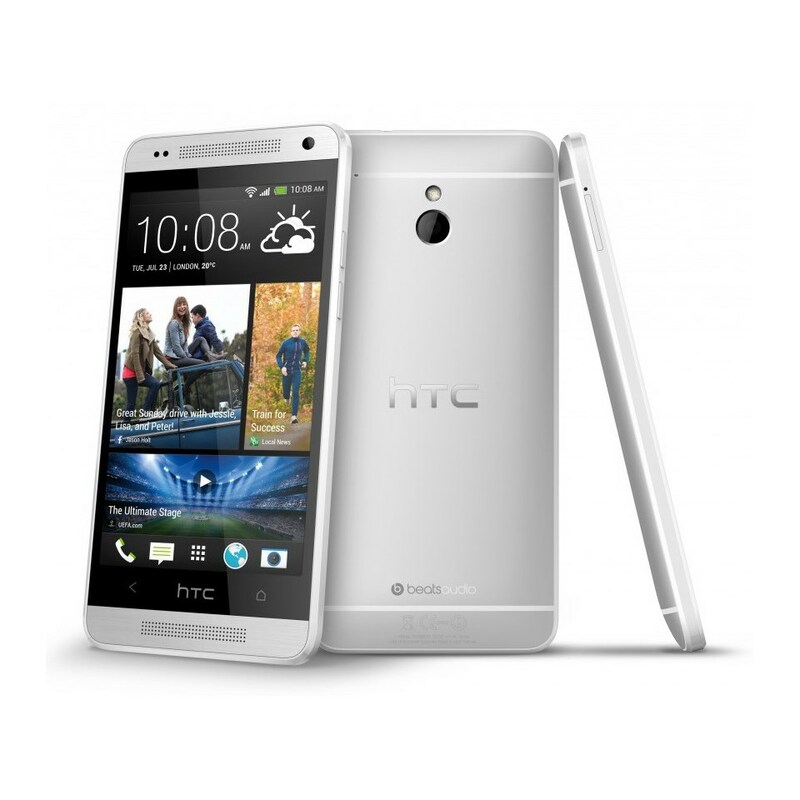 Tags: getting most out your phone tips tricks htc one gpe getting android 5.1 lollipop update htc one dual sim getting its official android 5.0 lollipop update htc one max getting its official android 5.0 lollipop update htc one start getting android 5.1 lollipop updates july 1st htc one gpe getting android 5.1.1 lollipop update ota htc one getting android 5.1 lollipop update with new features htc one won't getting android 5.1 any future update htc one getting lollipop 5.0 update india singapore malaysia samsung galaxy getting 2016 reboot official samsung galaxy edge getting olympic edition samsung galaxy tab 10.1 getting 2015 edition with 64-bit cpu specs how about getting your blood tested smartphone? 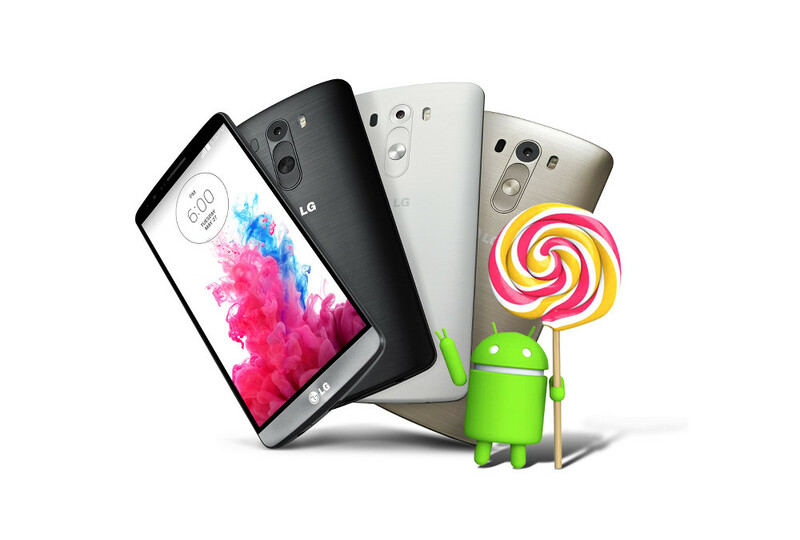 LG's latest flagship, LG G3, has already got its initial Lollipop 5.0 OTA Update last month (Dec,2014) all across Europe. 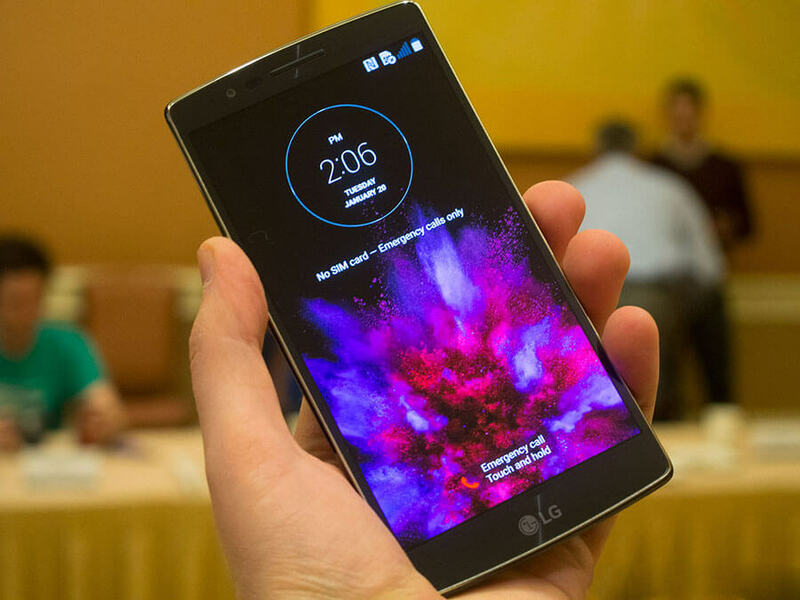 however, that didn't stop LG from updating its flagship device again. 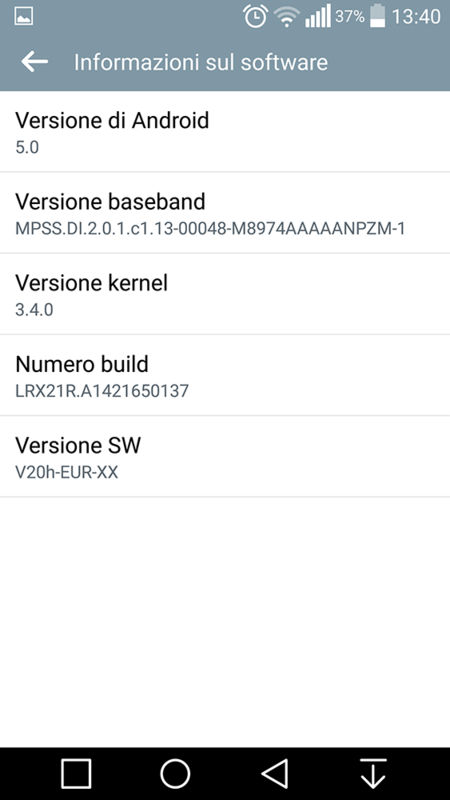 European LG G3 is receiving a New additional smaller firmware upgrade to fix some issues on its Lollipop ROM, the update is still carrying Android build 5.0 but with a lot of bug fixes. The update comes in at around 90 MB. 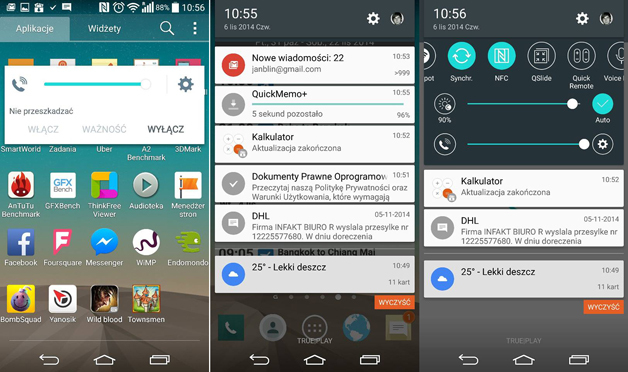 After applying it, it will be running software version V20h, whereas the initial Lollipop update took that to V20e. This small update is rolling-out in Italy, other European countries will follow. 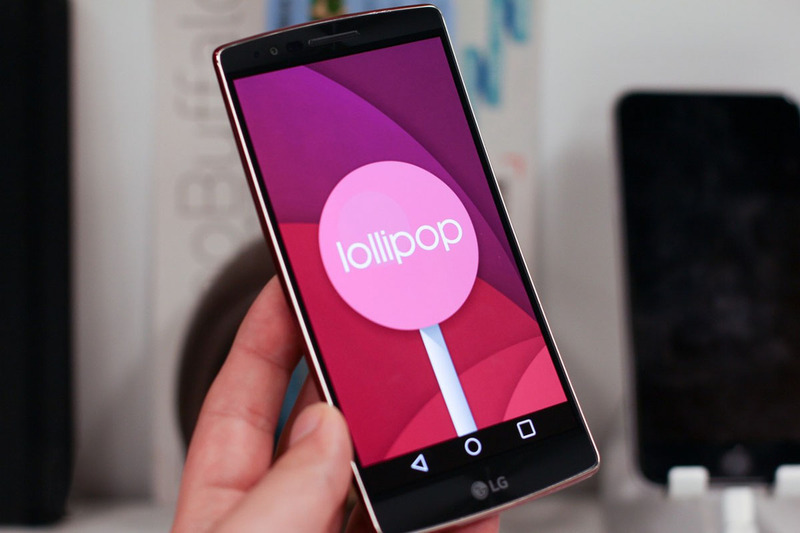 We are still waiting for the LG G2 Lollipop update that hasn't been released yet. 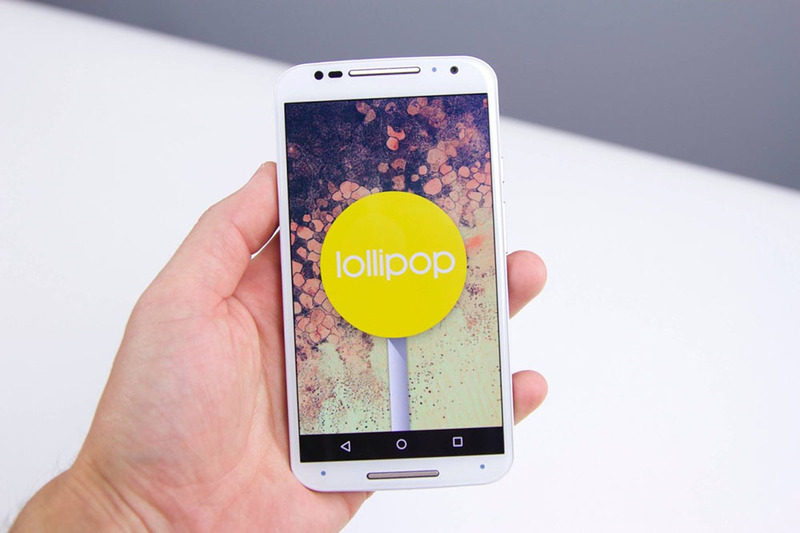 Motorola is rolling-out the latest official Android 5.1.1 Lollipop to the first generation Moto X. 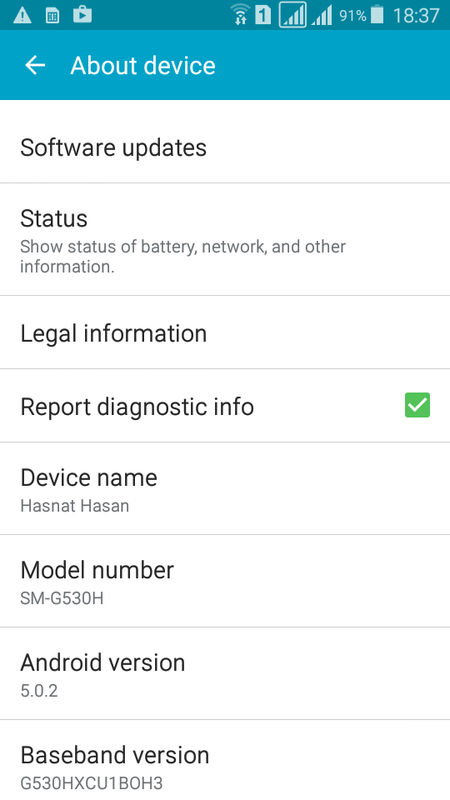 The update has been sent out OTA to U.S. and Brazilian retail units, and for Rogers customers in Canada totin' the model. Since the update takes the device from Android 4.4.4 to Android 5.1, it includes Lock Screen notifications, Material Design, the new Recent Apps page, the Quick Settings flashlight, enhancements to Quick Settings, the ability to open multiple user accounts, screen pinning, Battery Saving Mode, 64-bit ART compiler that opens apps faster, and the Smart Lock that allows a trusted device to unlock your handset. 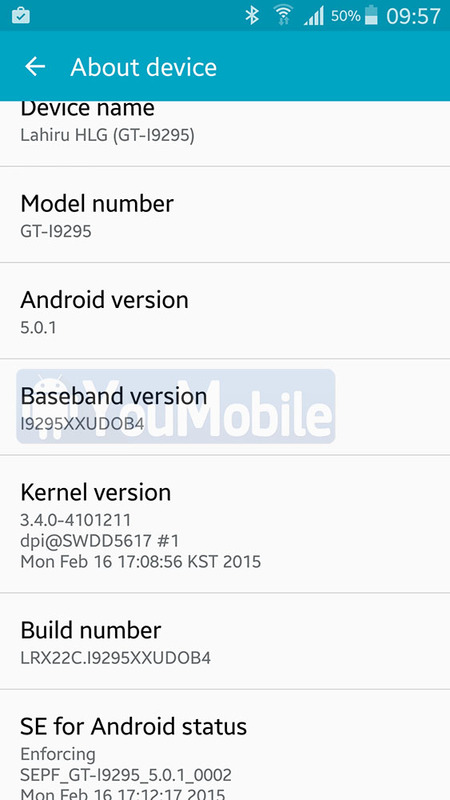 Official Android 5.0.1 Lollipop update is Rolling-out to Samsung Galaxy S4 Active GT-I9295. The update package is currently available Over-The-air (OTA) in Finland and other Nordic countries. 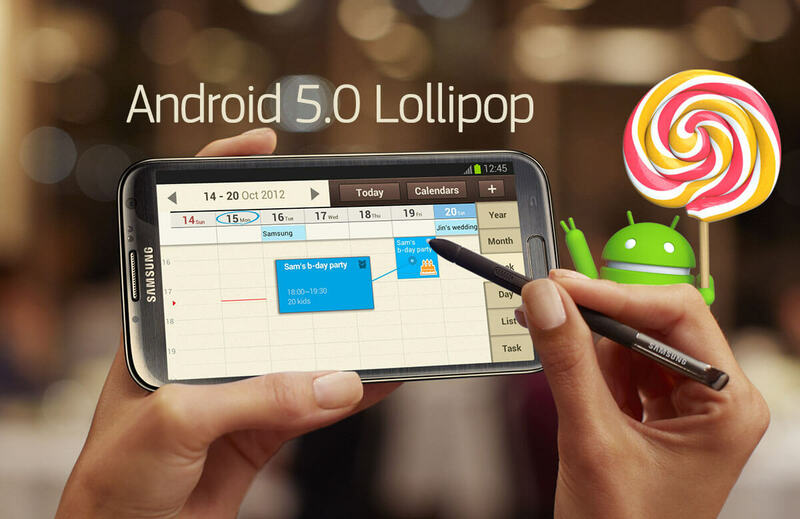 The Lollipop 5.0.1 update packs many new features along with an update TouchWiz UI and a lot of performance enhancements. 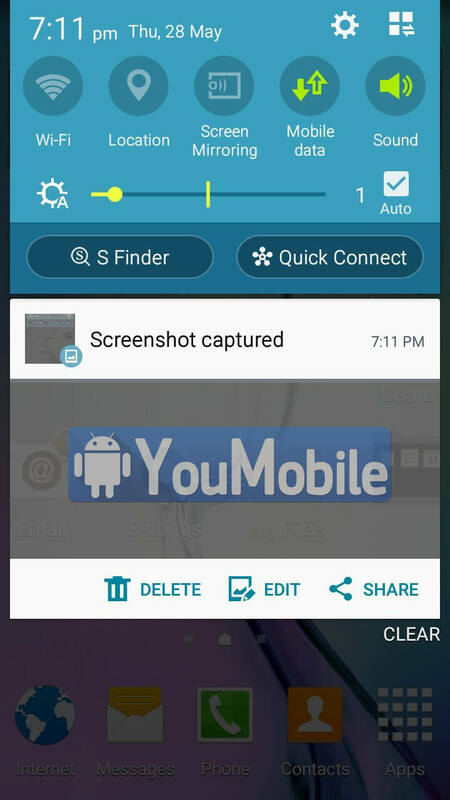 The user who sent us this screenshot above reported that the update is running very smooth on his device. 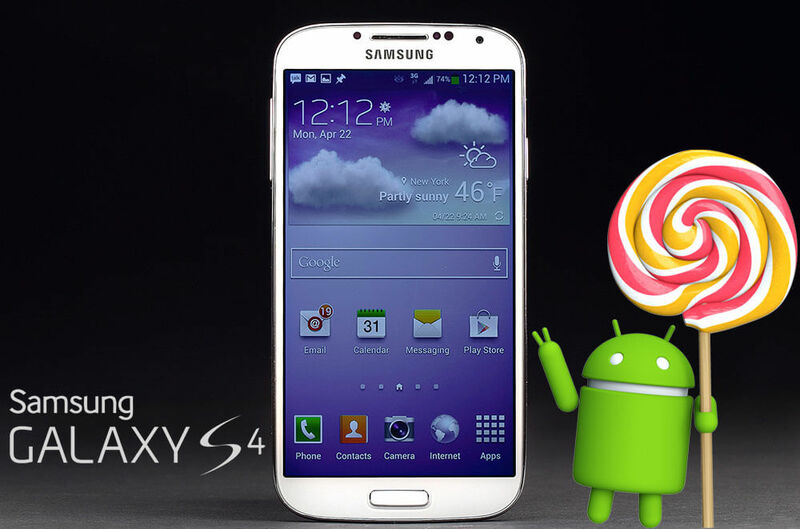 Other Galaxy S4 variants are still waiting for the update. Thank you Lahiru HLG for the screenshot! 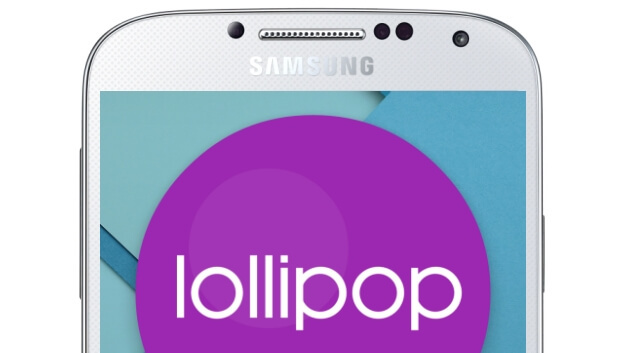 AT&T has just updated its Galaxy S4 users to the latest Official Android 5.0.1 Lollipop Update. 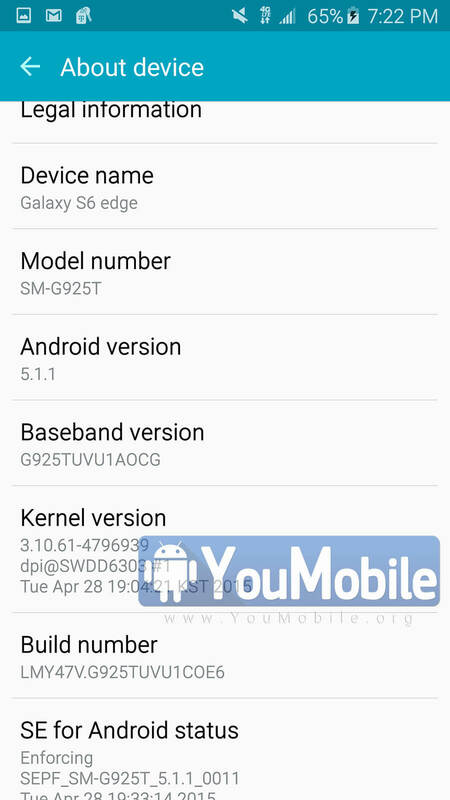 If you own a Galaxy S4 purchased from AT&T, you should be notified about the update within the next few days. If you're impatient, you can manually check by going to Settings > More > About device > Software update. 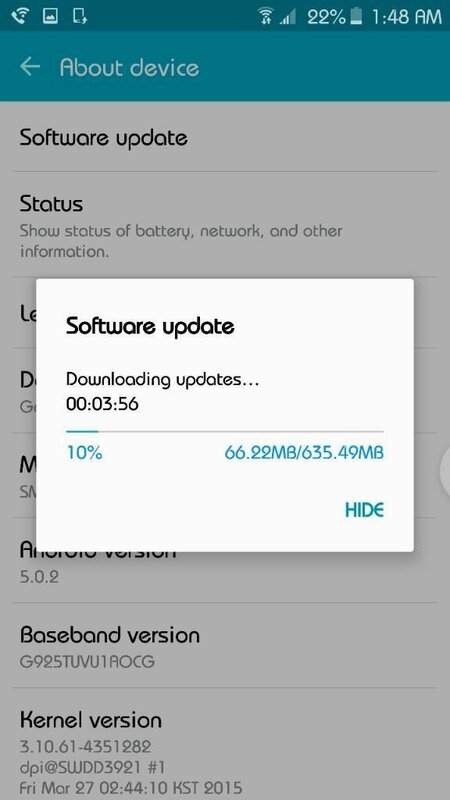 The update size is about 950MB to download and can only be downloaded via a Wi-Fi network, you will get Android Build 5.0.1 with firmware build number LRX22C.1337UCUGOC3. 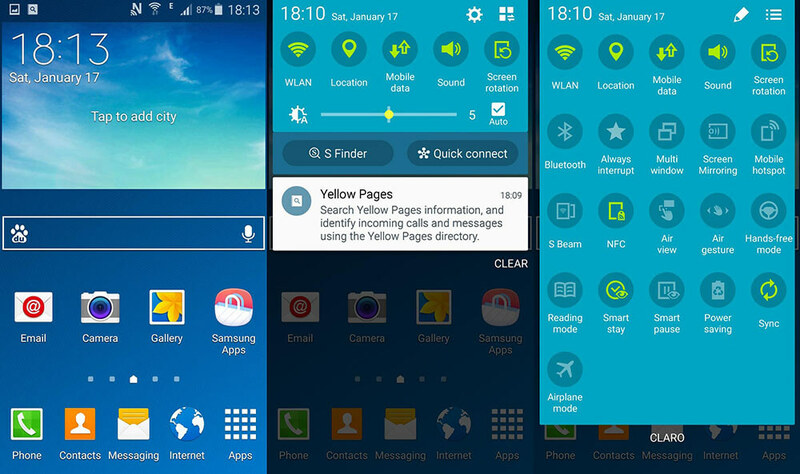 Aside from everything that Lollipop brings with it, you will also get Samsung's refreshed TouchWiz UI with punchier colors and whatnot. In this software release, AT&T has removed the Code Scanner, Browser Bar, and Softcard apps so you'll have less bloat. 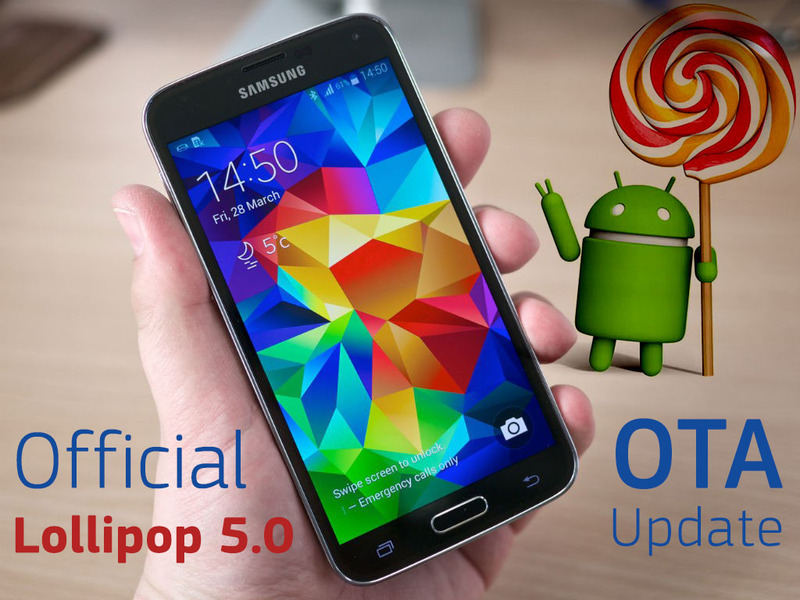 AT&T is now Rolling-out its Samsung Galaxy S5 official Android 5.0 Lollipop update. The update is now Available Over-the-air (OTA) and it's around 1.4 GB to download via Wi-Fi. We would like to remind you that its a Staged Roll-out, if you didn't get the update notification now, you'll probably get it in the next few days. To manually check for update on your device, go to "Settings > System > About device > Software update". 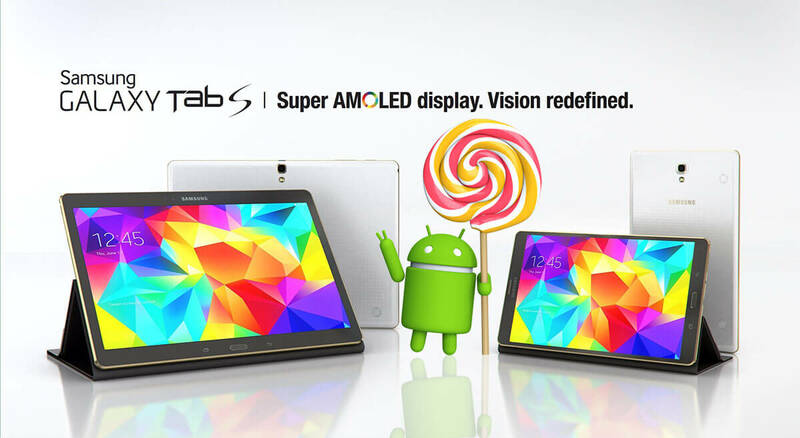 After applying the update you'll be running Android 5.0 Lollipop, build LRX21T.G900AUCU3BOC4. According to AT&T's notes for this release, nothing carrier-specific has been added. 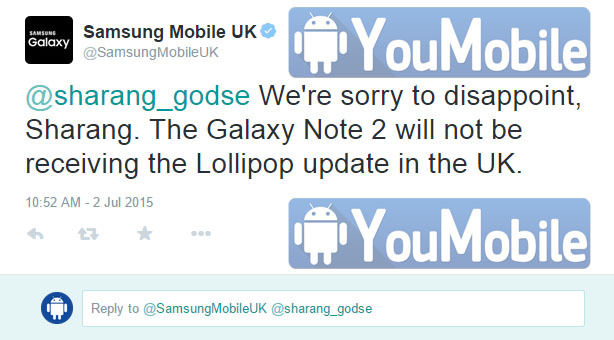 Every new thing you'll see after updating is part of Samsung's interpretation of Android Lollipop. 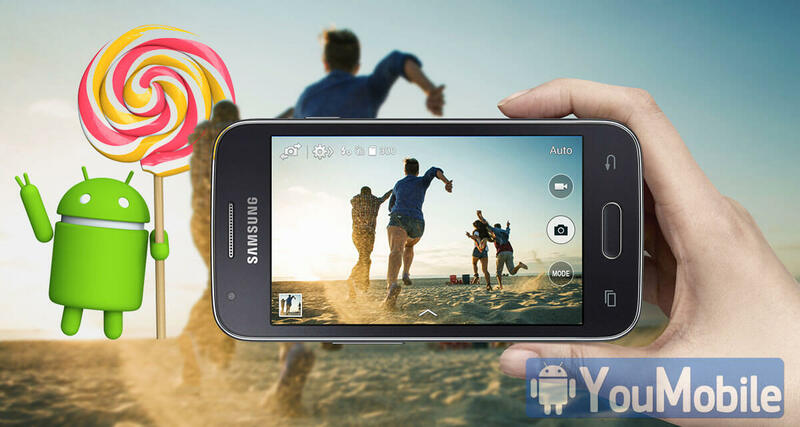 • Songs, photos, apps, and even recent searches from one Android device can be immediately enjoyed across all of your Android devices. 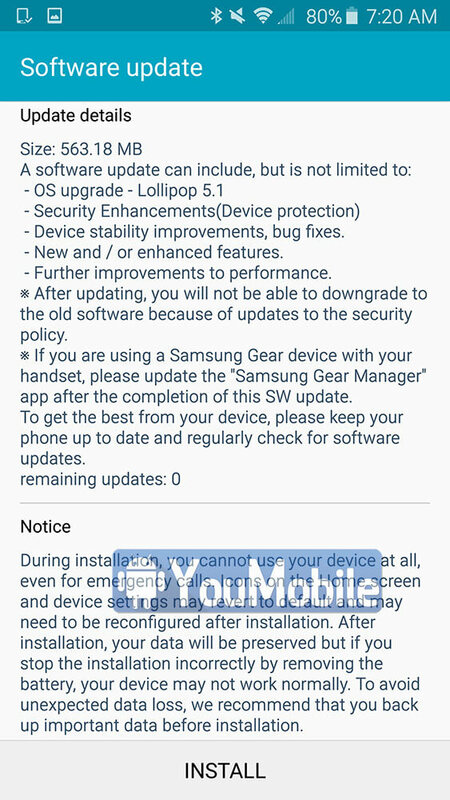 Samsung has started rolling-out Android 5.0.2 Lollipop update to its current flagship devices Galaxy S6 and Galaxy S6 Edge. 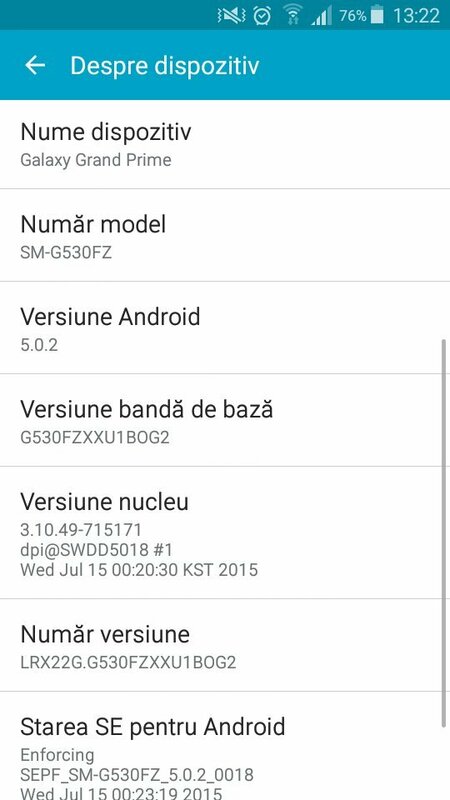 Both S6 variants got their first official Firmware update Over-the-air (OTA) in many regions. 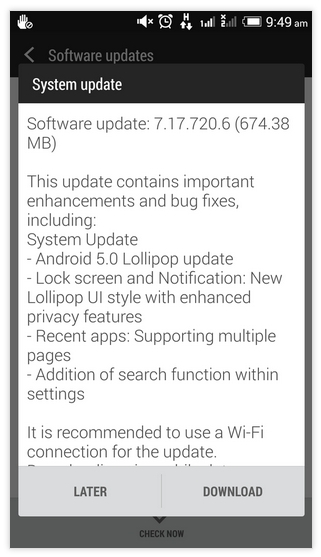 The new Android 5.0.2 Lollipop update is about in 250.53 MB size heavy and mostly brings improvements for better performance. The curved touchscreen will become more responsive with this update. Also, the Photo Editor gets a few new features for image editing on the go and also more accessories will be compatible with the phone. Besides that, several built-in apps get interface tweaks along with with various bug fixes and performance enhancements. 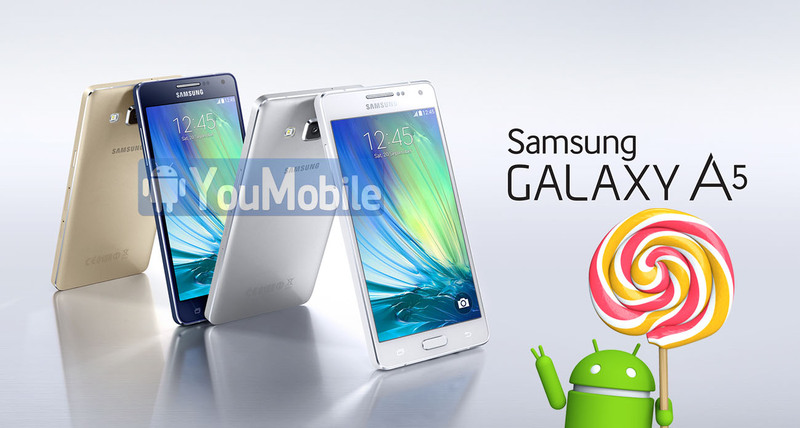 You can download all the S6 & S6 Edge firmwares from YouFirmware section below. 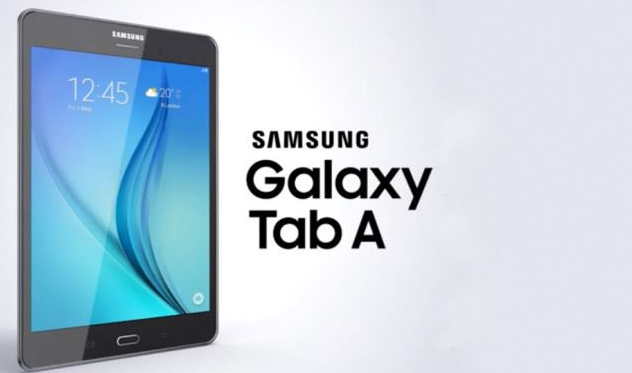 The Canadian Samsung Galaxy Tab S 10.5 (LTE) is getting its official Android 5.0.2 Lollipop in the Virgin Network. 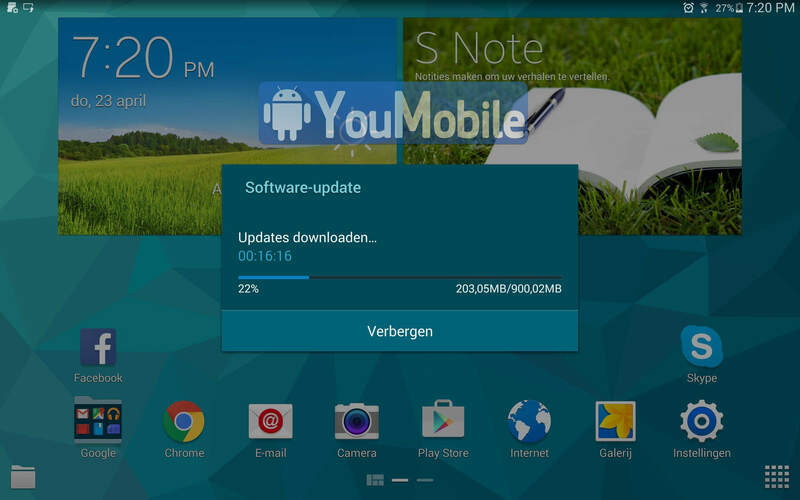 The Update is about 1 GB in size available Over-the-air (OTA) and via KIES. 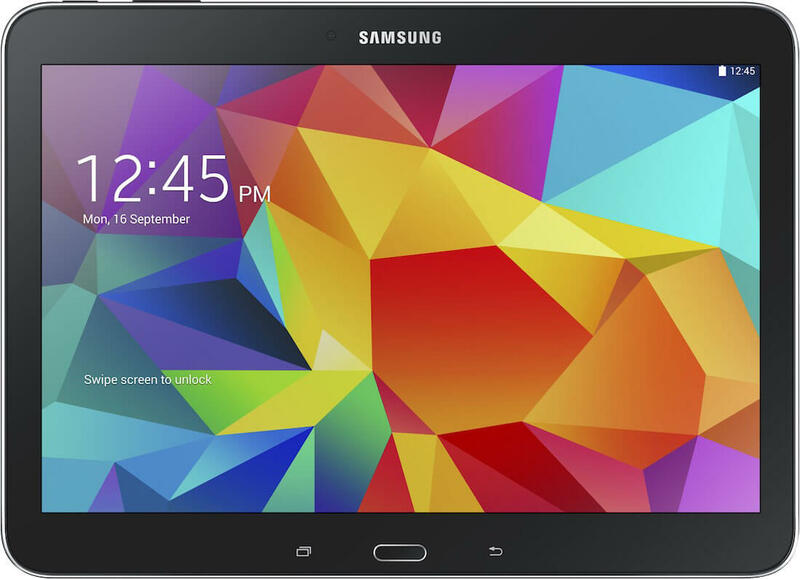 Other Galaxy Tab S 10.5 LTE variants has already got the same update few days ago. 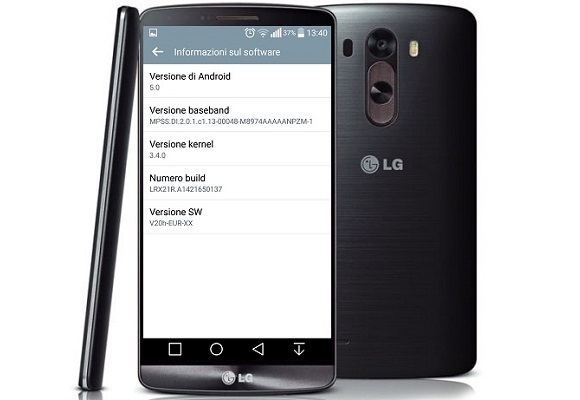 The firmware update brings latest Android build 5.0.2 and build number [T805WVLU1BOD6] with a build date [April 28, 2015] which indicates a very fresh build. 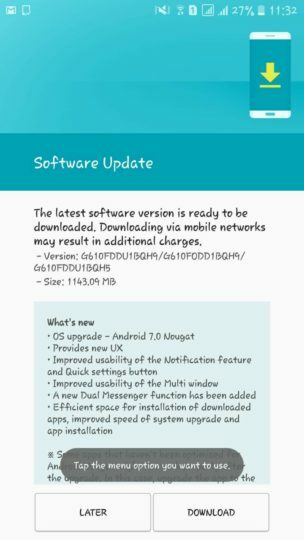 The Update also brings lots of performance enhancements, security fixes, bug fixes, Better LTE connectivity, New screen-lock, New notifications bar, updated TouchWiz UX with Material Design optimized for tablets. After updating the Galaxy A7 to Lollipop. 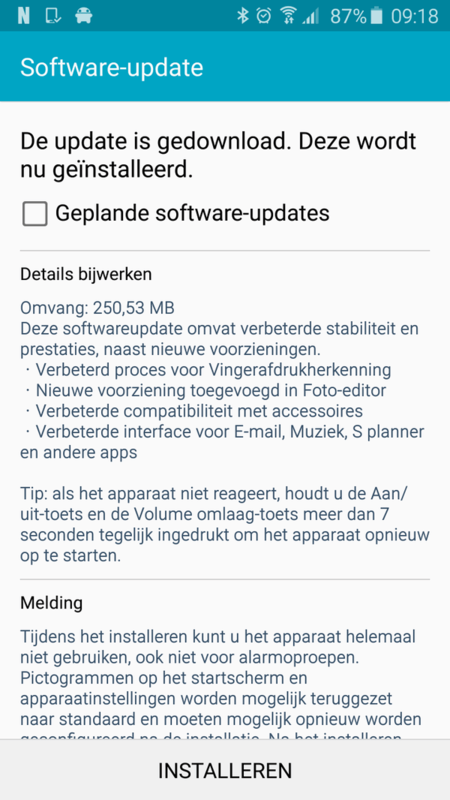 Today, Samsung Galaxy A5 (SM-A500FU) Official Android 5.0.2 Lollipop update is Rolling-out. The Update is Available Over-the-air and via KIES in South East Europe, and will reach more regions during June. 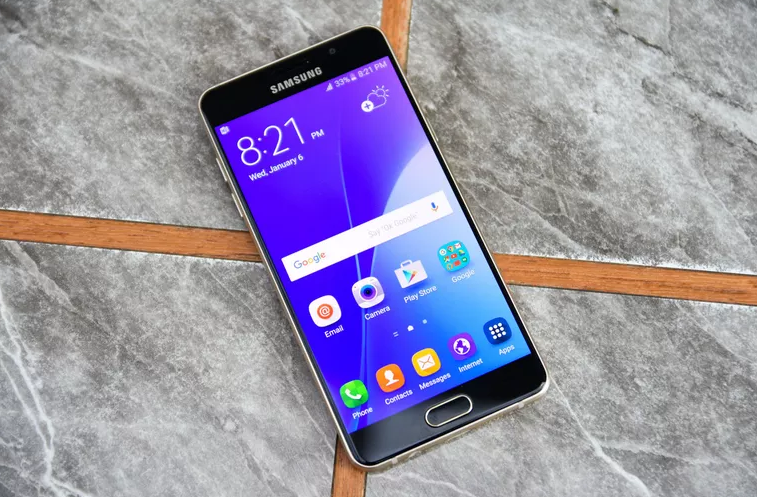 Galaxy A3 has already got the same Lollipop update earlier this month. 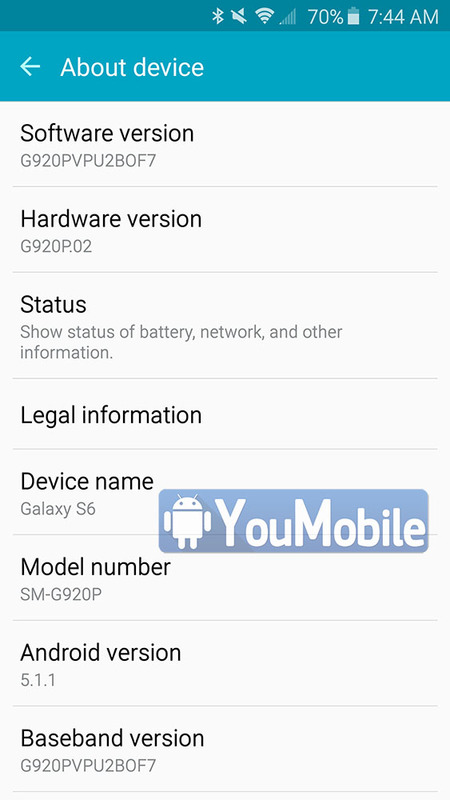 Tags: getting most out your phone tips tricks htc one gpe getting android 5.1 lollipop update htc one dual sim getting its official android 5.0 lollipop update htc one max getting its official android 5.0 lollipop update htc one start getting android 5.1 lollipop updates july 1st htc one gpe getting android 5.1.1 lollipop update ota htc one getting android 5.1 lollipop update with new features htc one won't getting android 5.1 any future update htc one getting lollipop 5.0 update india singapore malaysia samsung galaxy getting 2016 reboot official samsung galaxy edge getting olympic edition samsung galaxy tab 10.1 getting 2015 edition with 64-bit cpu specs how about getting your blood tested smartphone? 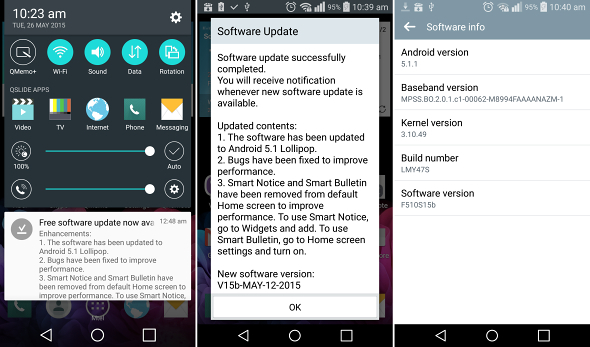 moto getting android 5.0.1 lollipop update india nexus getting official android 5.1 lollipop update ota verizon google nexus getting android 5.1.1 lollipop update european getting its 2nd lollipop update with bug fixes middle-east getting android 5.0 lollipop update flex2 getting its official android 5.1.1 lollipop update korea sprint flex getting android 5.1.1 lollipop ota update motorola moto (1g) getting its official android 5.1.1 lollipop update samsung galaxy active gt-i9295 getting official android 5.0.1 lollipop update finland unlocked samsung galaxy (gt-i9506) getting new android 5.0.1 lollipop update at&t samsung galaxy getting official android 5.0.1 lollipop update at&t samsung galaxy getting android 5.0 lollipop update firmware download samsung galaxy edge getting android 5.0.2 update official fast firmware download samsung galaxy tab 10.5 lte (canada) getting android 5.0.2 lollipop official firmware download european samsung galaxy sm-a500fu getting android 5.0.2 lollipop update official firmware download samsung galaxy edge sm-g925f getting android 5.1.1 lollipop update rolling-out europe samsung uk: galaxy ace won't getting android 5.0 lollipop update official firmware download samsung galaxy sm-g920 getting android 5.1.1 lollipop update rolling-out uae egypt india unconfirmed reports samsung hints that galaxy note won't getting lollipop update [info] samsung galaxy grand prime getting android 5.1.1 update 5.0.2 test releases rolling-out unconfirmed reports that samsung galaxy tabpro getting android 5.0 lollipop update dutch users galaxy (2016) finally getting taste android nougat when galaxy (2017) getting android nougat?